The drilling company involved in Monday's natural gas rig explosion in Pittsburg County, Oklahoma that killed five workers has a long record of deadly accidents and numerous safety violations. Ten workers have died within the past ten years at well sites linked to Houston-based Patterson-UTI Energy, the Associated Press reported, citing data from the Occupational Safety and Health Administration. The accidents occurred at drilling sites in Colorado, New Mexico, North Dakota, Pennsylvania and Texas. Patterson-UTI has also been fined nearly $367,000 in the last decade for more than 140 safety violations, including many serious ones. "A 2008 report from a U.S. Senate committee described Patterson-UTI as one of the nation's worst violators of workplace safety laws. The report devoted an entire section to the company and 13 employees who died in Texas rig accidents over a nearly four-year period. "A separate AP analysis published in 2008 showed at least 20 Patterson-UTI employees died on the job between 2002 and 2007. No other oil and gas company had more than five fatal accidents during that span." 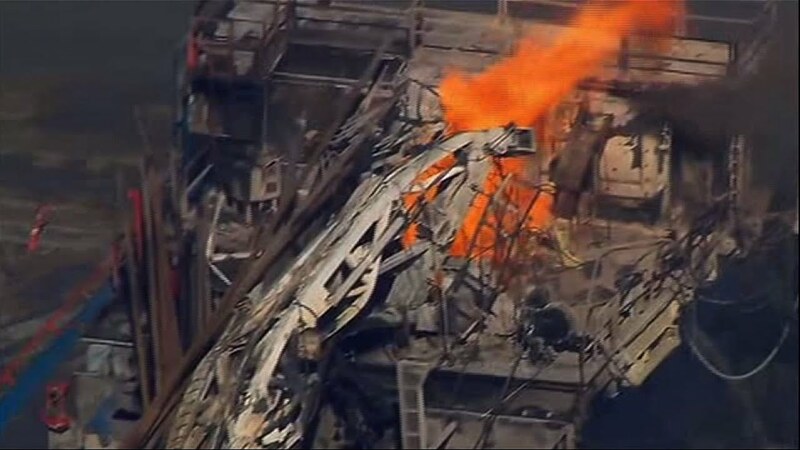 The rig explosion this week appears to be the deadliest since the 2010 Deepwater Horizon explosion in the Gulf of Mexico claimed the lives of 11 men. "Patterson-UTI has embraced a culture of continuous improvement in safety, training and operations," the company responded to the AP about its safety record. "In recent years, we have invested millions of dollars on training and protective equipment and worked to instill a company-wide culture where safety is the top priority of each employee." The U.S. Occupational Safety and Health Administration is investigating the explosion near the town of Quinton. The U.S. Chemical Safety Board will also consider launching a larger investigation. An initial report indicates an uncontrolled gas release led to the blast. A worker at the scene tried unsuccessfully to shut the well down. "There is nothing more important to us than the safety of our employees and others we partner with in the field. Our thoughts and prayers go out to all those affected and their loved ones," the company said in a statement after the explosion. "We are actively investigating the cause of the tragedy so that we can learn from it and protect against it happening again." A rendering of the Gordie Howe International Bridge.